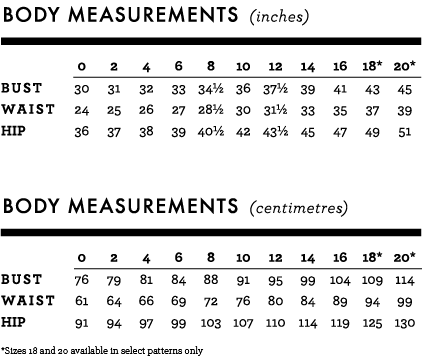 Sewaholic Patterns are drafted for a B cup, and proportioned for a pear-shaped figure. Our pear-shaped model has a small bust and waist compared to wider hips and muscular thighs. Patterns are drafted for an average height of 5'4" (162cm).